We are having a productive spring and summer fostering English learners’ success at SupportEd with four summer online courses starting in July, various ongoing projects, professional development (PD), upcoming conference presentations, and live webinars. This summer we are offering four online courses. In addition to our popular courses on SLIFE, EL advocacy and strategies, we are also offering a new course on strategies for building ELs’ academic language. Los Angeles Unified School District (LAUSD). SupportEd is partnering with the Center for Applied Linguistics to revise LAUSD’s English Learner and Standard English Learner Master Plan. This plan serves more than 160,000 ELs. SupportEd Senior Consultants Teddi Predaris and Joanne Urrutia are leading committee meetings in Los Angeles to solicit input on the content of the plan and are applying their expertise as district administrators to provide input on the content and share feedback on drafts of the plan. Syracuse City School District, NY. We will soon wrap up another successful year of our close work with the Syracuse City School District (SCSD) begun four years ago to develop and enhance their programs for ELs, including dual language and English as a New Language. This year we have supported the implementation of a pilot blended EL PD program in three schools and are lending expertise on special education for ELs. In June over 250 participants will participate in a culminating celebration of their successes and receive certificates of participation. Education.com. SupportEd is providing guidance and feedback on education.com’s upcoming suite of English Language Arts lessons for English learners in grades K through 5 so that ELs’ academic language development and appropriate scaffolds are embedded. SupportEd is collaborating with education.com to create a research-based template for EL pre-lessons and scaffolded content lessons and is providing input on lessons being developed. School District of Philadelphia (SDP). In partnership with co-teaching expert Dr. Andrea Honigsfeld, we are launching a three-year project designed to support SDP’s “Together is Better” Initiative to pilot and research effective co-teaching models in grades K – 3 in three city schools. We will conduct classroom walk-throughs, needs assessments, and focus groups followed by training for all leadership led by Dr. Honigsfeld and a similar session for ESOL and K-3 teachers led by Jill Kester this summer. “Together is Better” indeed! Long Island RBERN (NY). In June, Jill Kester and Sydney Snyder will be facilitating a three-day professional development workshop. The workshop will focus on instructional strategies for supporting ELs in integrated language development and content classrooms framed around our bestselling book Unlocking English Learners’ Potential. 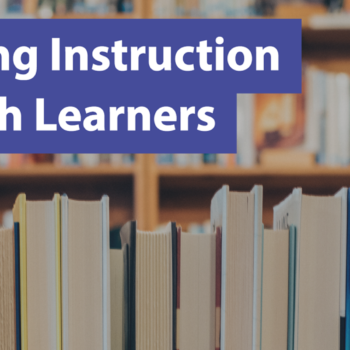 During this hands-on workshop, participants will have an opportunity to apply research-based strategies for supporting ELs’ acquisition of academic content and language. Molloy College (NY). In August, Diane Staehr Fenner will present a full-day session on strategies for the effective formative assessment and instruction of ELs. The workshop will focus on effective strategies framed around our book Unlocking English Learners’ Potential. Professional Development for Multiple School Districts. 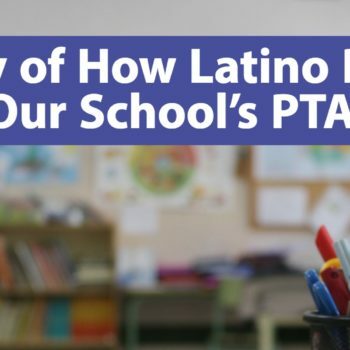 We are providing ongoing professional development on many EL-related topics, including culturally responsive instruction, instructional strategies for supporting ELs in content classrooms, instruction of SLIFE, and teacher advocacy and leadership in support of ELs. This spring and summer we will be collaborating with educators in Alberta, Canada; New Jersey; New York; Pennsylvania; South Carolina; Tennessee; and Washington D.C.
LAUSD Keynotes. In June and August, Diane Staehr Fenner will deliver one keynote presentation each at the two LAUSD English Learner and Standard English Learner Master Plan Institutes. The participants will include up to 450 English Learner Designees per presentation, and the theme of the conference is Multilingualism and Multiculturalism. We offered two interactive webinars in the spring with our team of experts as well as national experts as opportunities to delve into professional development topics for better serving ELs. The Five Pillars of Equitably Grading ELs. In March, Diane Staehr Fenner and guest co-host Larry Ferlazzo explored common EL grading challenges faced by educators during our Five Pillars of Equitably Grading ELs webinar. More than 300 participants joined us live to discuss pressing grading topics surrounding EL education and assessment and share their unique EL grading experiences. You can click here to watch the full webinar replay, or click here to download an infographic summarizing our webinar findings. How Teachers Can Advocate for ELs. In April, Diane Staehr Fenner partnered with MDTESOL to host our How Teachers Can Advocate for ELs webinar. She discussed topics such as defining EL advocacy, isolating and highlighting key advocacy issues, leveraging tools designed for each issue, and applying advocacy skills in various contexts. You can click here to watch the webinar replay, or click here to download an infographic summarizing webinar findings.